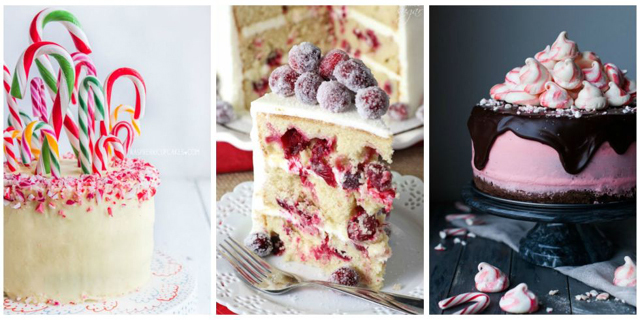 All we want for Christmas is one (or two) of these cakes. 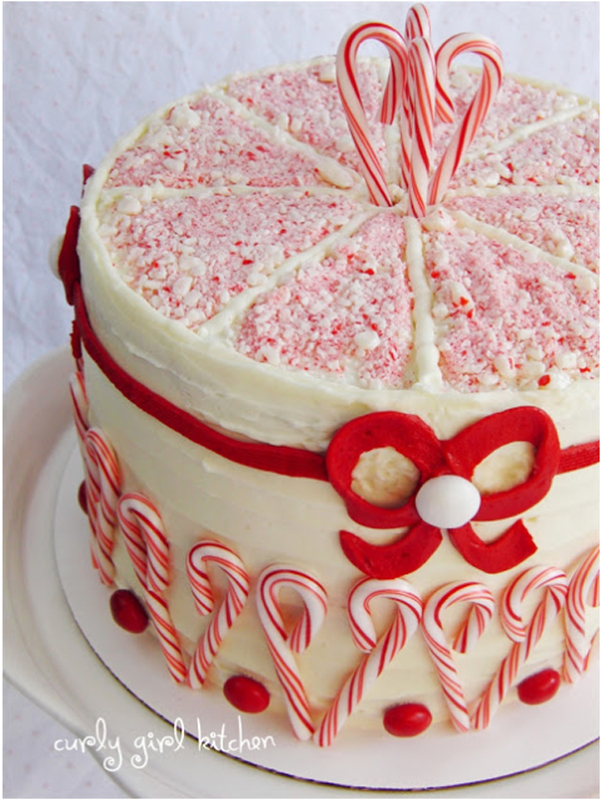 Before serving, pass out candy canes to little ones so they can help decorate this cake. Bonus: Once you cut in, guests will be impressed by the beautiful red and white marbling inside. 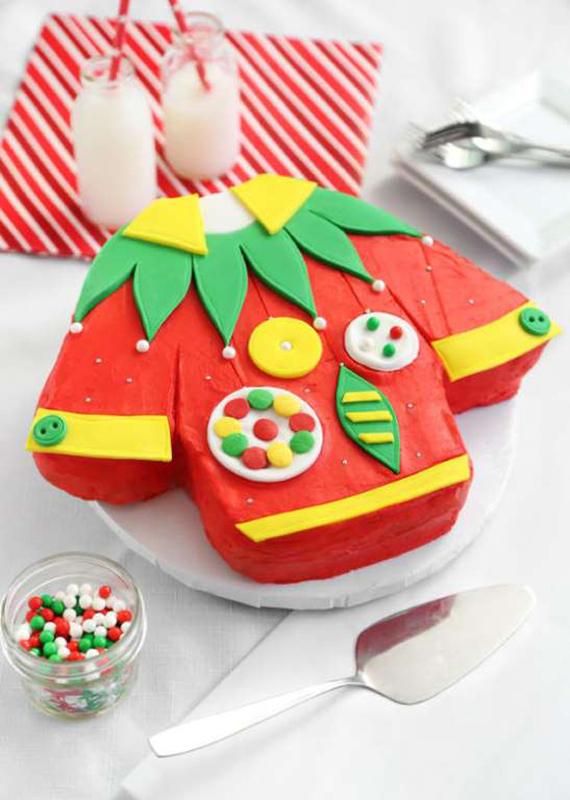 A plain yellow cake gets an "ugly" makeover thanks to colored fondant Christmas sweater swatches. Obviously, peppermint and chocolate is the perfect dessert combination during the holiday season. The playfully sweet meringue kisses on top really take the cake. Now you can enjoy your favorite holiday drink in cake form. Topped with a layer of crunchy toffee bits, one slice is all you need feel warm and cozy. 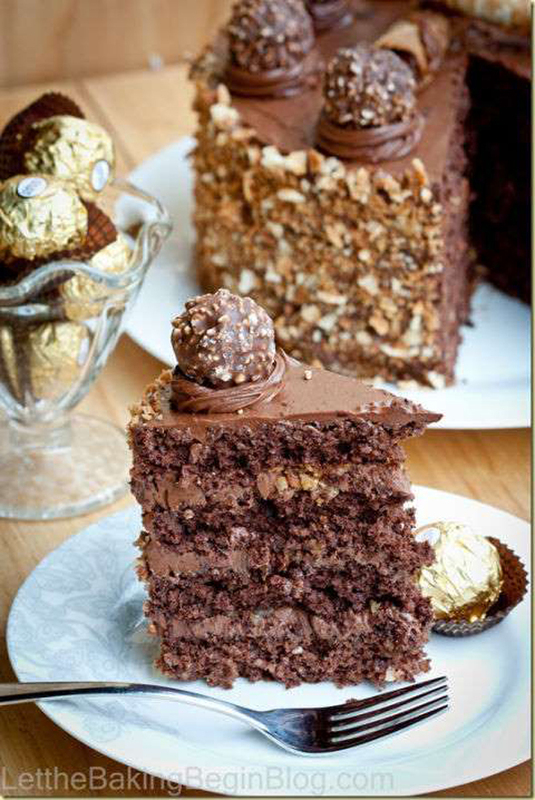 The decadent chocolate candy ball is a favorite among people of all ages, so imagine how much better it would be in cake form. This stunning dessert is a must at Christmas parties. 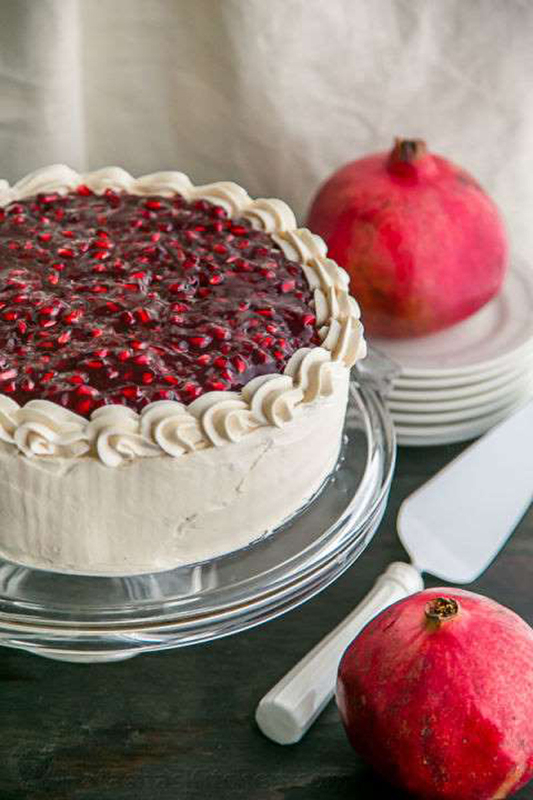 The pomegranate topping adds an elegant color contrast as well as a subtle texture that will please any palate. 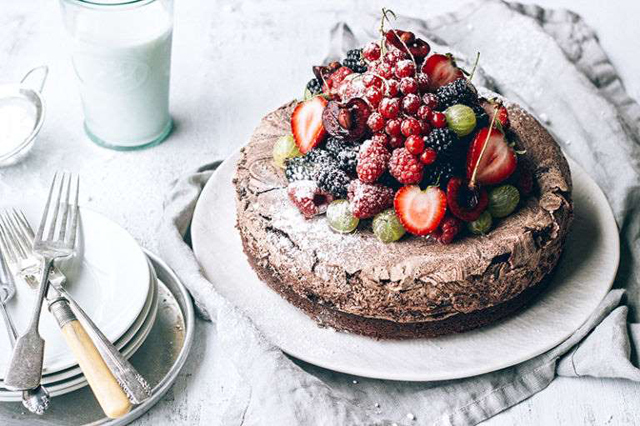 After baking your favorite chocolate cake and dressing it with your favorite frosting or ganache, top it with these beautiful nature-inspired garnishes. 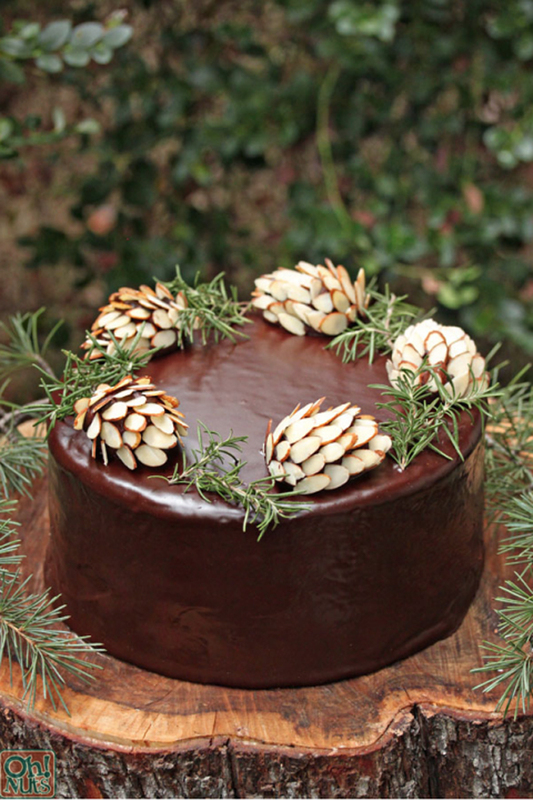 A chocolate center holds together thin slivers of almonds that imitate pinecone scales. 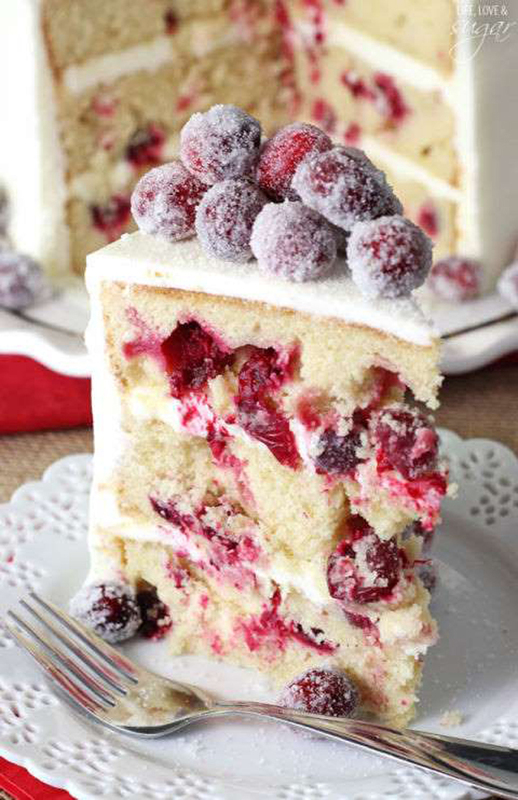 Tart and sweet cranberries give this gorgeous holiday cake bursts of fruity flavor. To amp up the stunning factor, sugared cranberries are piled on top for a sparkly, frosty effect. 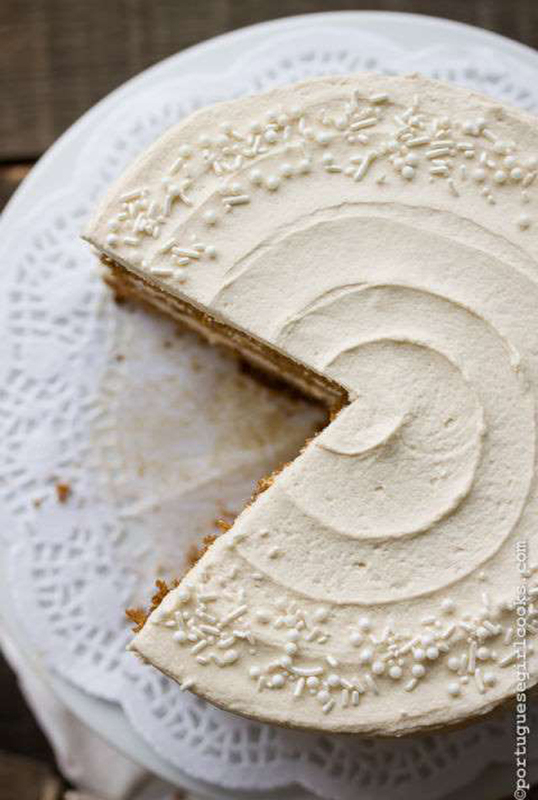 Crushed gingersnap cookies are melded throughout this cake to give it an addictive crunch and flavor. 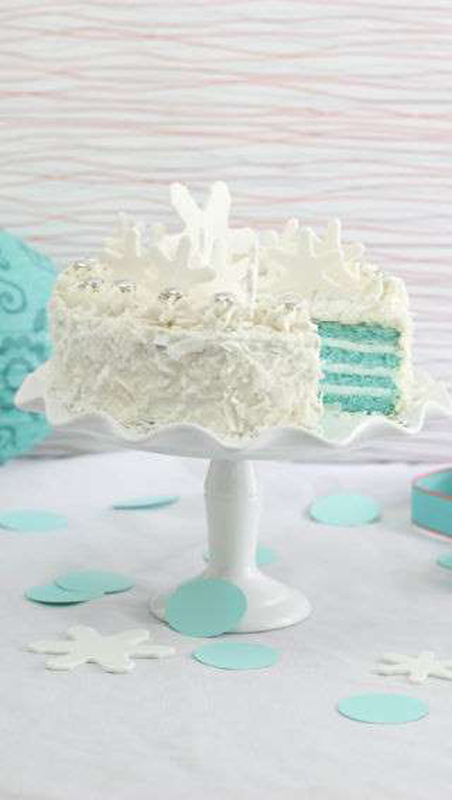 To further enhance the flavor profile, slabs of sweet cream cheese frosting are sandwiched in between the stacked layers. 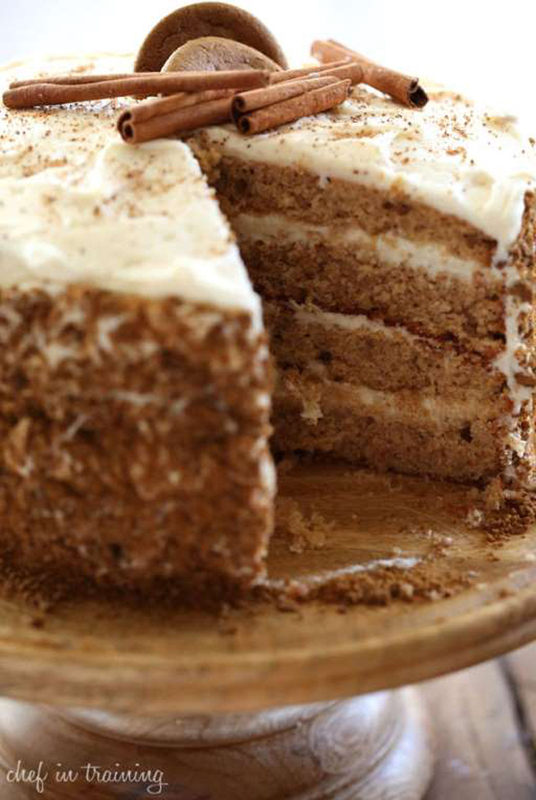 This soft and fluffy gingerbread cake not only looks divine, it tastes heavenly, too. Even though this cake is served chilled, it's still perfect for a wintery day because the rich, chocolatey flavors will fill you right up. 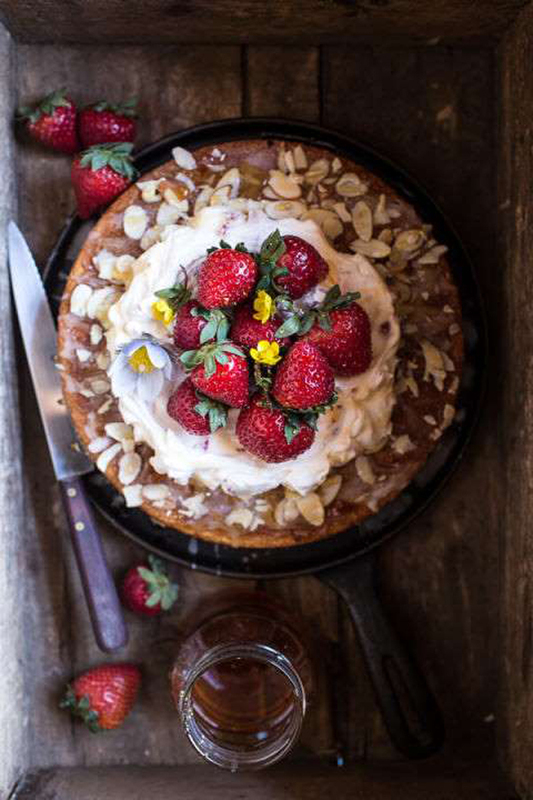 Add a generous amount of fresh market berries and dust a fine coating of sugar on top. 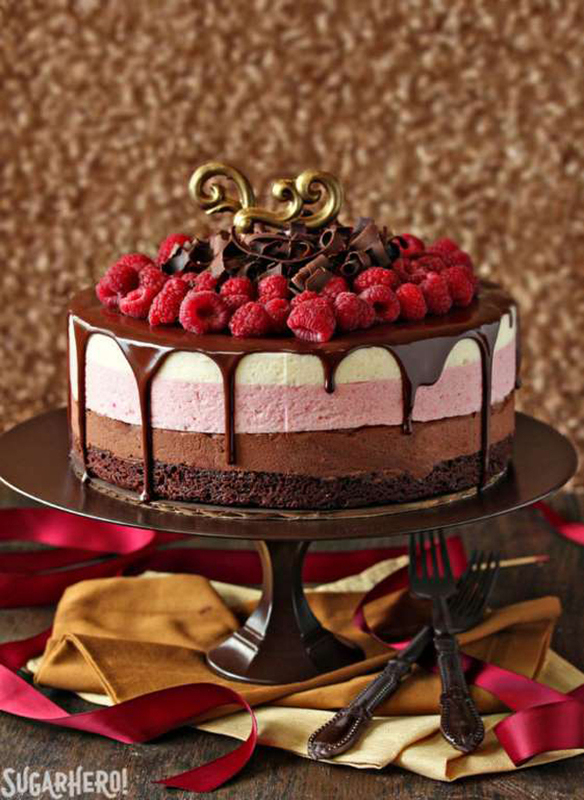 A fudge brownie base supports three layers of chocolate, raspberry, and vanilla mousse. And yes: That's molten chocolate drizzled over the cake and a bundle of fresh raspberries nestled on top. You don't need to be sitting in front of a campfire to get your s'mores fix. Stuff layer upon layer of ganache and cream in between this towering chocolate cake. 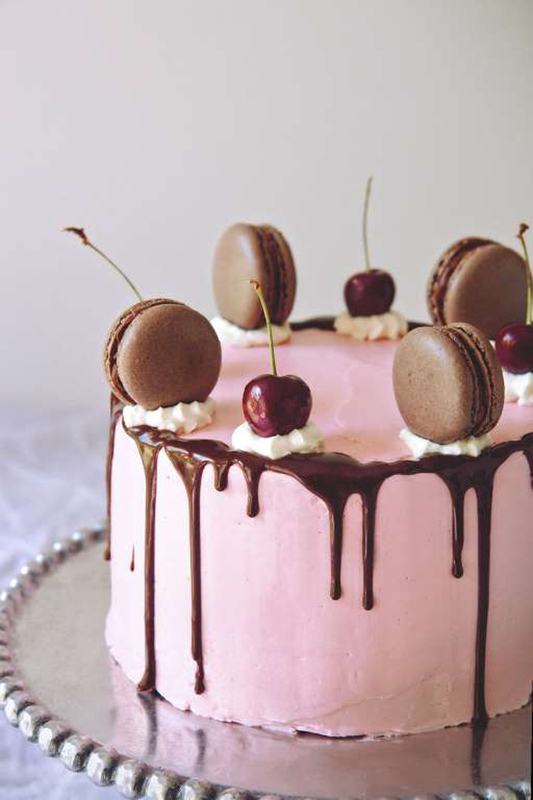 This modern take on Black Forest cake has irresistible French flair. 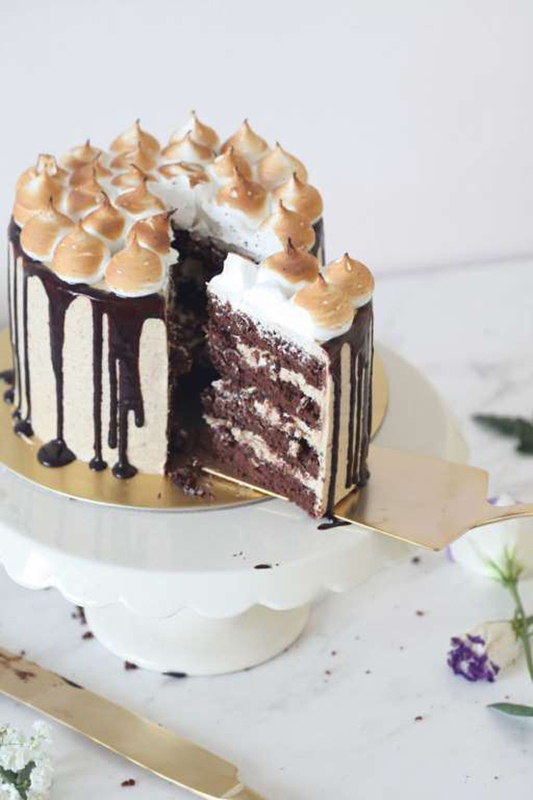 Not only is it topped with delicate macarons, the spongey cake itself is made with a mocha-mayo base. Tres magnifique! 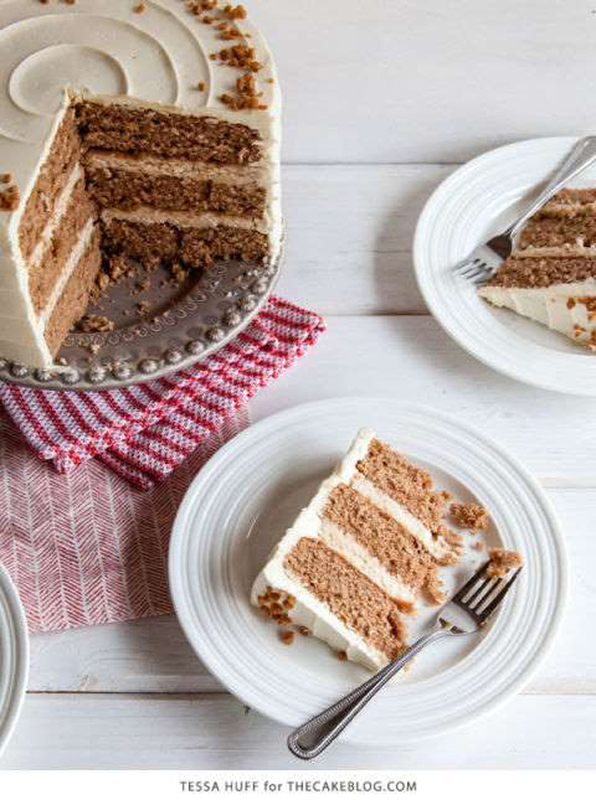 Warm, winter spices like nutmeg, cinnamon, and allspice are infused into this spiced cake, making it a satisfyingly sweet dessert. To make this elegant cake even more holiday appropriate, fluffy eggnog buttercream frosting is slathered on. 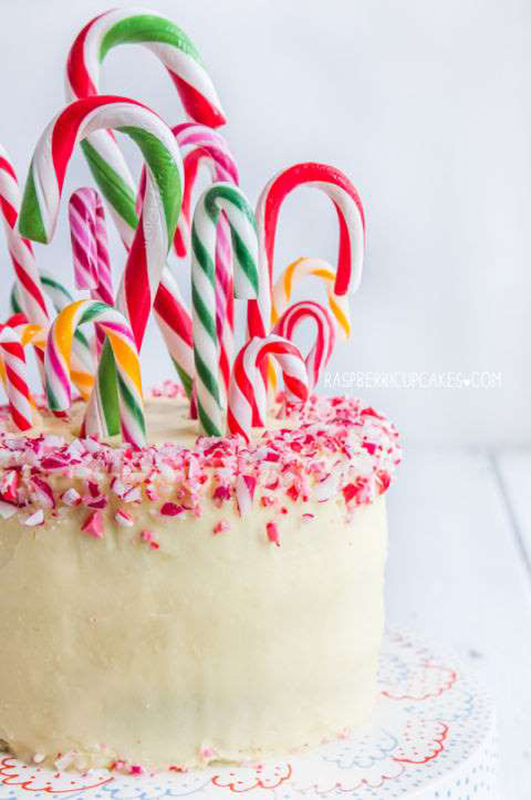 If this pretty peppermint cake doesn't scream Christmas, we don't know what does. Having a blue Christmas? 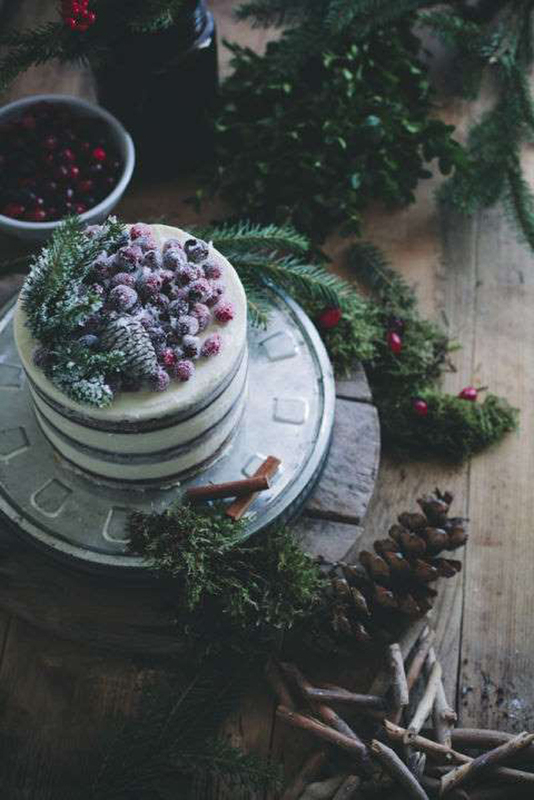 A slice of this cake will make all your holiday stress melt away.